In 2002, Gloucester Civic Trust erected a bronze statue of Emperor Nerva, who is acknowledged as the founder of the city in around AD97. The equestrian statue was sculpted by the world-renowned Anthony Stones and cast at Pangolin’s foundry in Chalford. This millennium project was made possible thanks to some funding originally set aside by Peter Price, a founder member and Hon. Secretary of the Trust. Alison Wooley, Peter’s neice, unveiled the statue October 2002. A major contribution was also made by the Summerfield Trust from Cheltenham which enabled the work of art to be completed. A stainless steel time capsule was incorporated within the statue’s hollow plinth, filled with items relating to the foundation of Roman Gloucester and to life in the present day city. We hope it will remain undisturbed for many centuries to come. 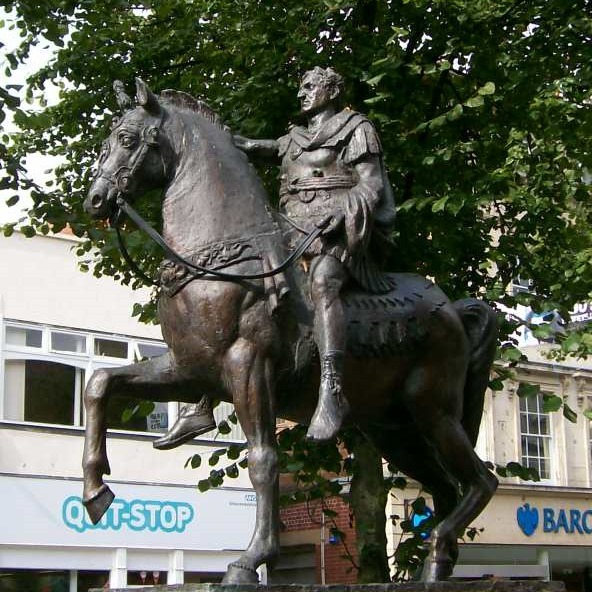 Go back to Gloucester Civic Trust achievements or find out about GCT commissioning the Robert Raikes statue.